Tenants involved in social and collaborative housing projects become part of a residential project that is based on the sharing of spaces and of services aimed at optimizing day-to-day living and improving their own personal living conditions. To facilitate this process it is necessary to support the people and groups in the construction of their own neighbourhood by providing them with enabling systems. To do this FHS has fine-tuned a process that consists of 10 plenary sessions and the same number of group meetings, which commences around 6 months before the first tenants move in and finishes when the residents have been living in their homes for 1 year. This is a process that has the objective of equipping the tenants to be able to plan the use of the common spaces available to them and to define the rules that will govern their use. In order to achieve this, several tools have been devised for the design and prototype the activities, a web platform to manage the project and facilitate communication among the residents, and tutorials on how to efficiently perform each activity in a short time and how to structure the governance. SpaceH is the web platform used to manage the shared spaces and to organise the activities within social housing contexts. The web platform is composed of 2 areas: one public and one reserved to the community. 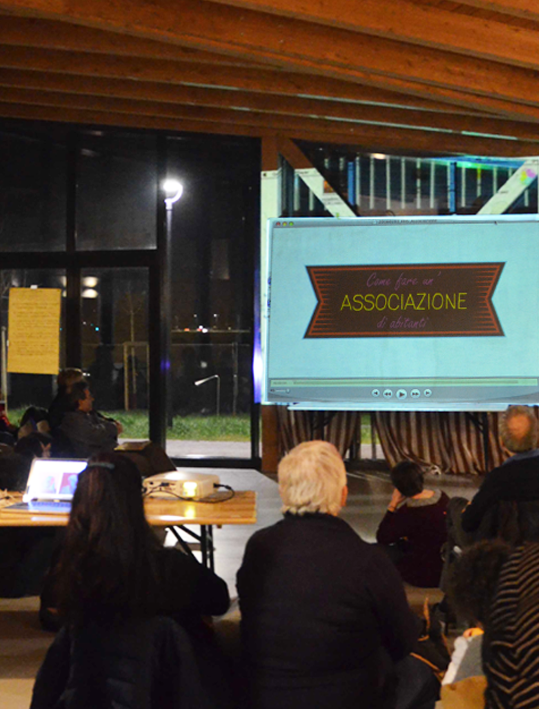 The public area, which is run by the Social Manager, is accessible to everyone and its purpose is: to give visibility to the events of particular importance that have been organized by the residents and to those initiatives that are open to the public, to promote possible calls for applications and new projects, and to tell the story of the Housing project and of community. The area that is reserved for the community’s use is only accessible via registration, and its purpose is to help the community to organize itself and to manage the shared spaces and equipment. The reserved area includes a calendar which allows the users to have a complete vision of the initiatives that are taking place in the coming months or weeks. Each user can book the spaces via the web platform and an invoicing system keeps track of the usage time and calculates the potential contribution that the user should make to the residents’ association. In the Spaces section, the user can view the list of spaces available in the complex they live in and can access relevant information such as: floor plan, rules, available equipment and updates in the log book (cleaning, damage and status of consumable products).The section Events and Activities allows a single user or group of users to manage the activities taking place. The user can see all information relating to the single initiative such as: the content, the frequency, the names of the contact persons – with a direct link to their personal profile – the list of participants, and any available photos and documents which can be downloaded. In the People section, users can see the profiles of everyone who has subscribed to the web platform. Each person’s profile can contain: contact information, personal information, the activities they participate in, and photos etc. The web platform is then completed with additional functionality: a news page – which functions as an actual electronic noticeboard where the staff can publish notifications and important communications to the residents – and a page dedicated to the residents’ association. In addition to being of great organizational assistance to the users, the web platform is also a support tool for those who manage the residents’ community because it offers the possibility to collect, in a timely manner, useful information and notifications which enable them to carry out any specific interventions required. The data that is collected in the database is also used for monitoring operations and for evaluating the social impact that the community has on the local neighbourhood. 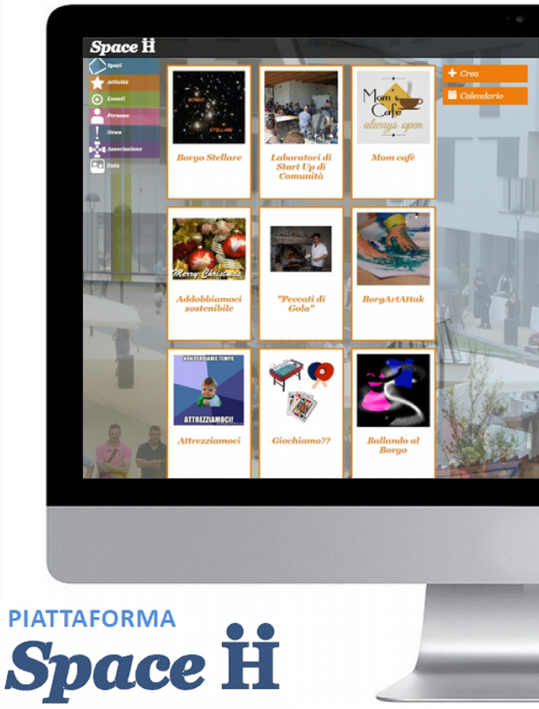 The SpaceH platform has been active since 2015 and has been used in the projects “Cenni di Cambiamento”, “Borgo Sostenibile” and “Vivo al venti”. It is visited and used every day and is also utilized to promote the activities of the resident communities to the outside world. The feedback from platform users over time has enabled improvements to be made to the functionality of SpaceH, but the tool itself is in constant evolution with the implementation of new functions to make it even more user-friendly. The Social Cards refers to a deck of 30 cards divided into 4 categories (Optimizing Resources, Taking Care of the Little Ones, Socializing and Parties, Hobbies and Relaxation) that are designed to facilitate the choice of spaces and services within the social housing projects, services in which the collaborative aspect is of prime importance. The specific aim of the Social Cards is to stimulate discussion and facilitate the choice of those activities that the residents will then design and generate together. 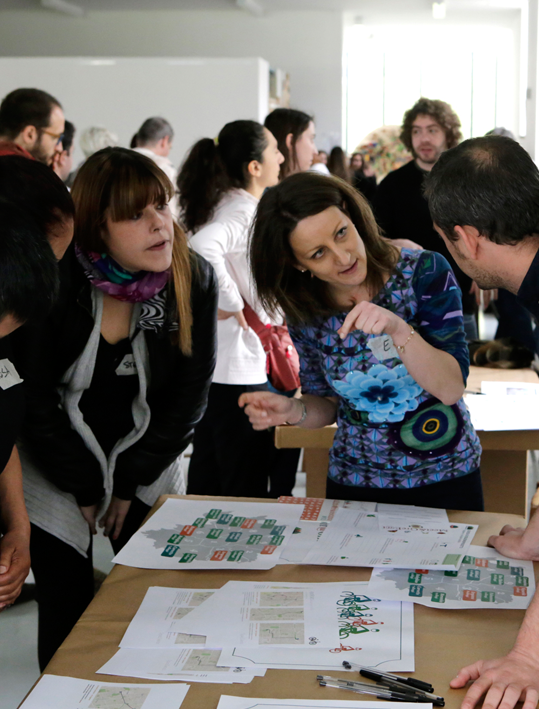 Divided into groups of no more than 20 people, the participants, gathered around tables, discuss together the activities that could be set up within the project, also on the basis of the shared spaces that they have available. The group starts turning over the activity cards in the centre of the table, only choosing those which they are most interested in. 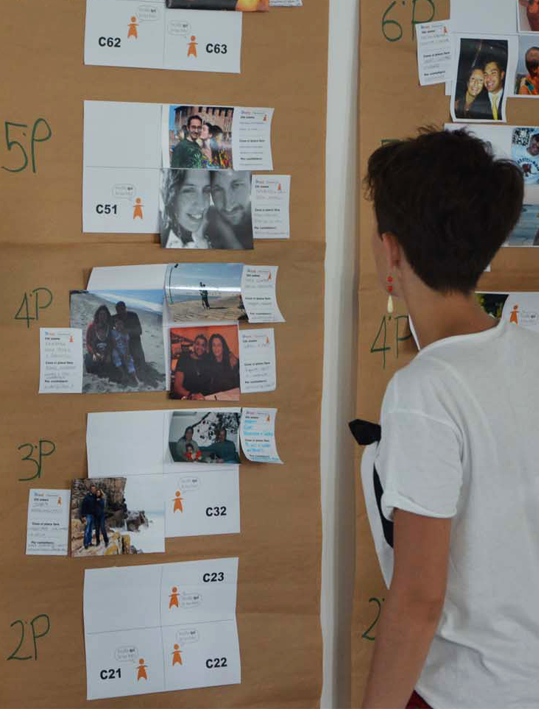 If the group selects more than one activity of interest and this results in lengthy discussion, each participant is given 3 Post-Its numbered “5” “3” and “1” which they use to vote for their 3 favourite activities; the activity that receives the highest score is the one that will be developed by the workgroup. 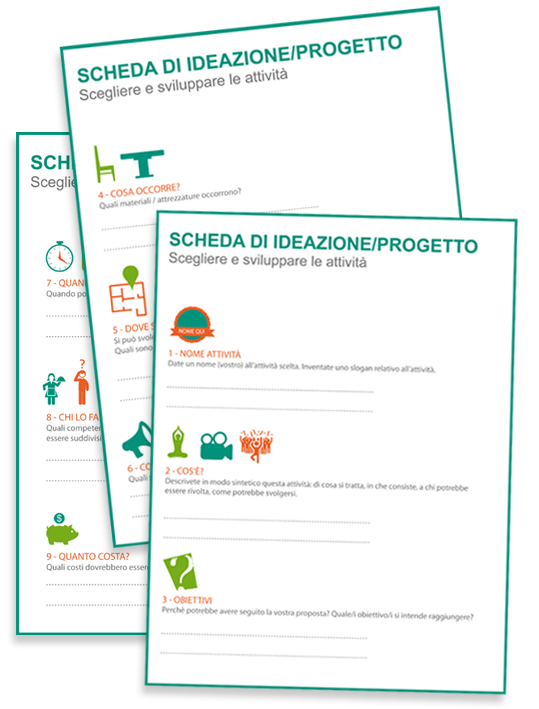 The same tool is used by the residents in Workshop 3: Designing Future Activities in the Community Start-up Process, where themed work-tables are prepared ahead of time (for example, Childcare, Culture, Tools of the Trade, Daily Needs, Leisure Activities); each table then uses the Social Cards that relate to the specific topic. The residents are free to choose the table they wish to work at, according to their interests and skills. 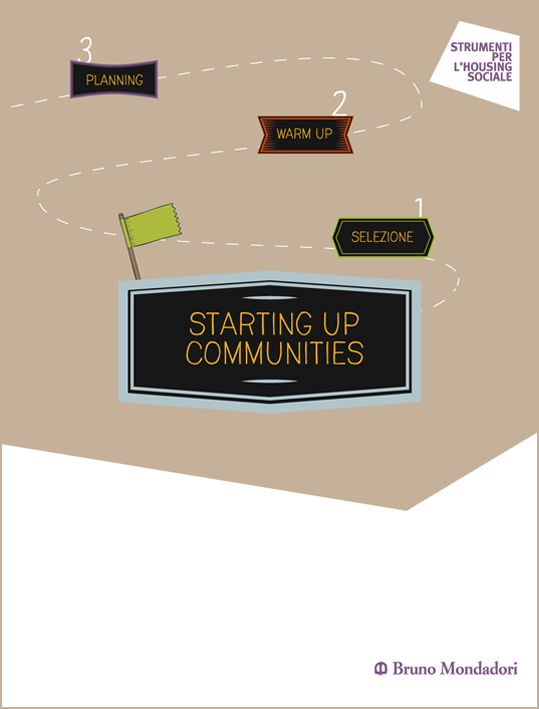 The meetings that make up the Community Start-up Process follow an exact structure: for each step it is necessary to provide a clear, direct explanation that enables the participants to understand the general purpose of the activities that are being proposed and that gives reassurances to the residents about the commitment expected from them. In order to obtain this effect, several short tutorial videos have been produced that are presented during the meetings. The tutorials illustrate how to reach the predefined objectives through the use of footage of previous experiences and through the use of animations. It is the residents who have already been through the process who “pass on” their experience and who talk about the most critical stages and how they reached their objectives. This trust in the project’s efficiency, in addition to being transmitted directly to the new residents through personal testimony, is implicitly expressed by the tool that measures the level of organisation involved. This last point is very important because the participants need to feel as though they are being accompanied by a method that is both precise and reliable. The series of meetings that takes place before the residents move into the apartments is called “Warm up”. In addition to offering the future tenants group activities to help them settle into their new homes, it also encourages them to get to know each other. In the first of these meetings, the future residents have the possibility to meet their fellow tenants before they move in and to find out who their direct neighbours will be. This process was inspired by a two-dimensional graphic that is used in real-estate circles which enables us to see different information about the tenants in complex residential contexts, and which allows us to provide a tool to help the future residents to visualize the composition of their new community. A simplified illustration of the layout of the apartments is shown on paper, and each family unit is asked to identify their own home, and to attach a photo or drawing of themselves and also a brief card of self-introduction. In this way everyone starts to build up a mental picture of the community that is being created. This work is then uploaded to the web platform and made available to the users; like this the residents can get to know the names of the other residents and the composition of the other families. One of the most common types of arrears to be found in a social housing project may be defined as “discontinuous” or “sporadic” payments: the families find it difficult to manage their financial resources and to manage their outgoings and they thus may find it difficult to pay the rent if they have to face an unforeseen expense. In order to improve the selection process and at the same time strengthen the candidate’s awareness of financial education, several training and orientation sessions are organized which the candidates are invited to participate in. •	dealing with emergencies and restructuring debt. The methodology used in these meetings is active debate and group discussion, which allows us to break the taboos relating to financial matters and to have a discussion about lifestyles and family money-management through looking at an analysis of monthly expenditure. In this phase, collaborative good practices are introduced which can help people to save, informational and educational materials are distributed, and candidates are invited to take part in a brief exercise to build a family budget. The Design/Generation Card is presented as a step-by-step guide to assist in the design of the collaborative activities that the participants generate. This tool helps the residents to brainstorm activities by answering several key questions, such as: “How might the chosen activity be put into practice?” “What impact will it have, what potential difficulties relating to its management and the effort involved might it bring to the living environment within the social housing project?” The Card consists of various questions, explained and enriched with examples, plus space for compilation. After the participants have selected their activity using the Social Cards, they develop it following the guidelines included in the Design/Generation Card. The workgroup comes together and discusses the idea in more detail, concentrating on the main aspects, and getting inspiration from the questions that are on the Card: What is it? Where does it take place? What is required? When should it be done? Who will do it? How much will it cost? Why do it? These questions stimulate discussion and guide the group towards defining the main features of the service. As a final step, the workgroup is asked to give a name to their activity and to reflect carefully on this, both with regard to the positive effects and to potential issues or problems that may arise and how to deal with them. A framework is forming towards a new culture of living both private and public spaces: a collection of experiences that we technically call active and collaborative well-being, in which people organize themselves to improve an aspect of their own living conditions by putting in place collaborative and sustainable solutions in order to achieve their objectives. The result of this interaction is to make daily life more efficient and pleasant, and to manage and respond to certain strategic demands of everyday life by reducing waste and optimizing the time and resources that are available. Social Housing represents one of the environments in which these new ways of doing are expressed. 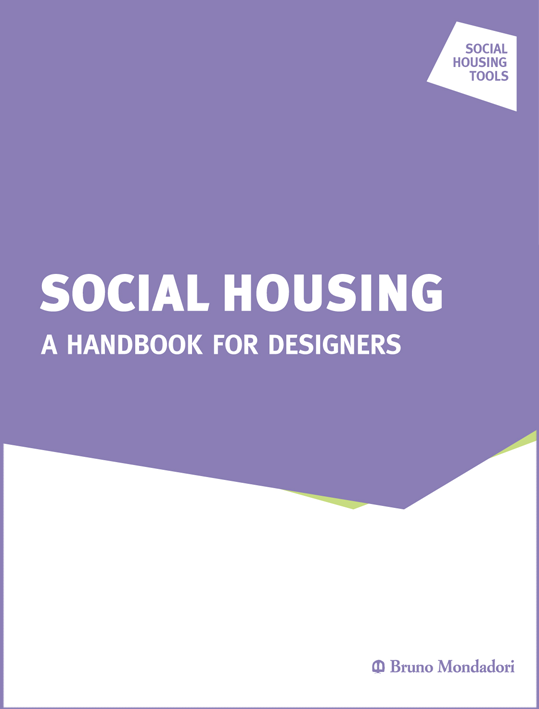 This manual illustrates the results and methods that have been adopted in several Social Housing projects. This volume offers a collection of technical and design instructions for the development of a social housing project that responds to the needs for quality of domestic space, without foregoing cost-efficiency in construction. These are both primary requirements that make it necessary to put together a collection of fundamental rules relative to the design of domestic spaces. The aim of this manual, therefore, is to provide designers with guidelines that allow them to transform the detailed drawing of a dwelling into a project that pays attention to contemporary daily living standards. The book is the result of reflections shared with the professionals, investors, fund managers and residents who have participated in social housing projects promoted within the Integrated Fund System (SIF), and it is divided into three sections: the first is dedicated to the liveability and usability of the residential spaces; the second concentrates on the non-residential spaces within the residential complex; the third focuses on case studies which have been contributed by several professionals. - The third focused on several case studies, provided by architects and planners. 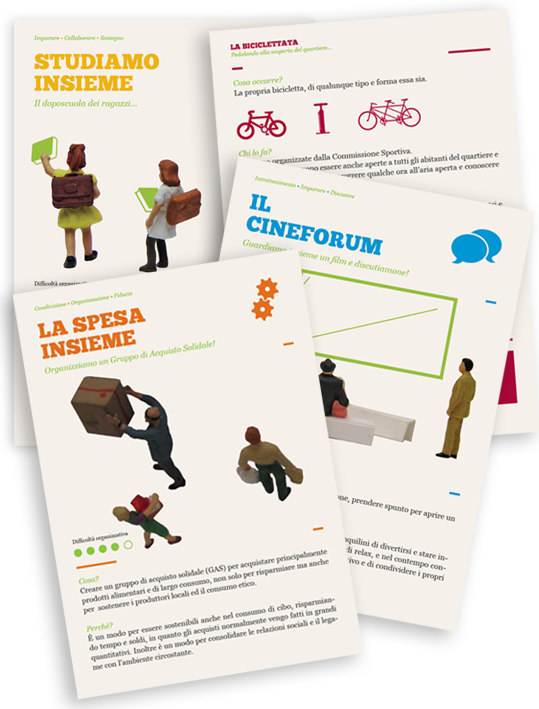 This manual, the first of its kind to be published in Italy, describes in detail all the processes that come under the responsibility of the Social Manager and their variables. 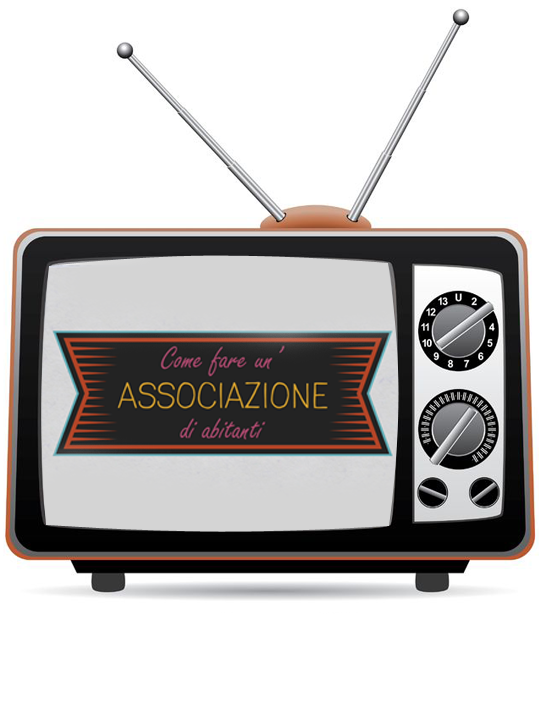 Starting with the concrete projects that FHS is developing in Italy, the manual then moves on to examine, in great detail and with appropriate examples, the decisions and practices that are entrusted to the Social Manager. 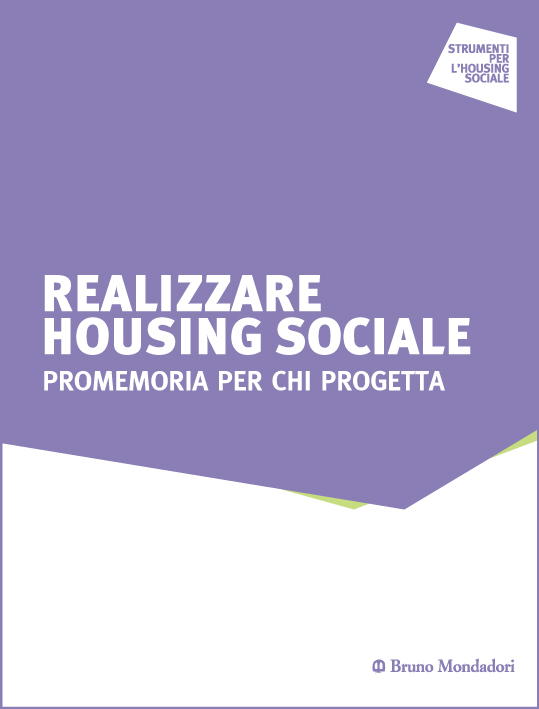 This manual is the result of a Social Laboratory process promoted and activated in agreement with the Department of Housing - Regione Lombardia, and FHS. The founding topics of housing stock management are addressed using a multi-dimensional integrated approach, which aims to standardize the management of the units with that of the resident community, with the primary objective being the social sustainability of the context where people live. CDP Investimenti SGR, in collaboration with Investire SGR and FHS, has promoted and financed a research and development project called “Project 10,000” which is aimed at the identification and dissemination of design models and construction systems aimed at optimizing, in various ways, the creation from scratch of social housing interventions. The results of this work, which lasted over a year, have been collected together in the Guidelines whose aim is to facilitate the dialogue and relationships between the developers and the designers and construction companies involved in the projects. 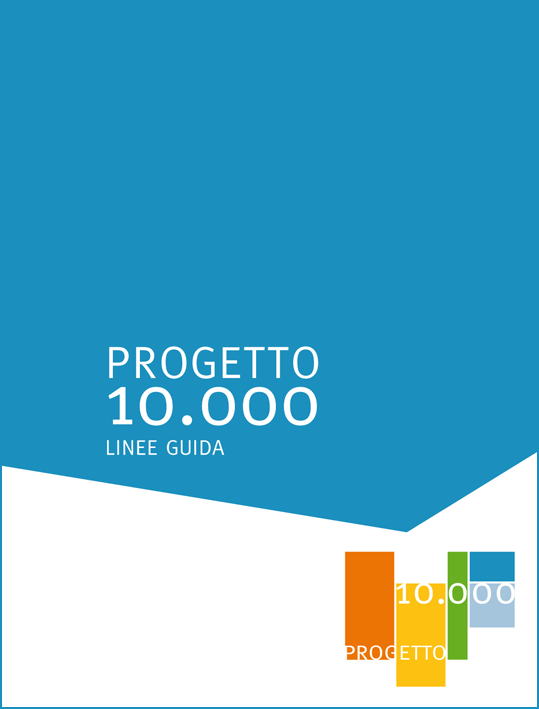 “Project 10,000” is an open source project, both in the sense that it is available to everyone who could benefit from it, and in the sense that its contents can over time be evaluated and enriched with the concrete experiences that will develop during its application. FHS and Programma Housing of the Compagnia di San Paolo, LABINS and SiTI have designed and run a series of meetings entitled “SH_LAB Social Housing Laboratory, Tools for Social Management” which saw the participation of the leading players in the Italian scenario, Asset Management Companies and Social Managers, involved in the realization of social housing projects, especially those financed by the FIA. 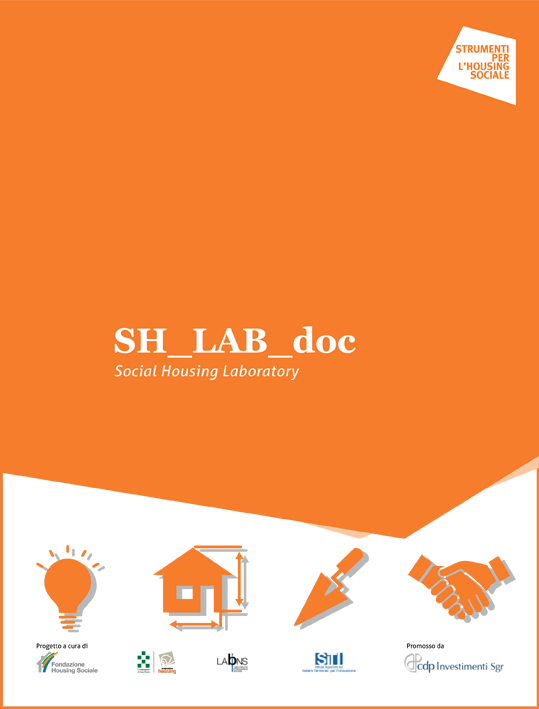 The Laboratory followed a process of co-design of the profile and tools of the social manager with the aim of defining a common horizon within which to operate, both with respect to long-term rent and to temporary rent. The project was promoted and supported by CDP Investimenti SGR SpA and the main themes that arose and were shared by the group of operators involved were collected in the document SH_LAB_doc which is published here. The demographic and social evolution of the family structure in Italy is obvious to everyone. The focus is not on negative changes; we are living longer, we are reaching old age in a better state of health and we can live life to the full. 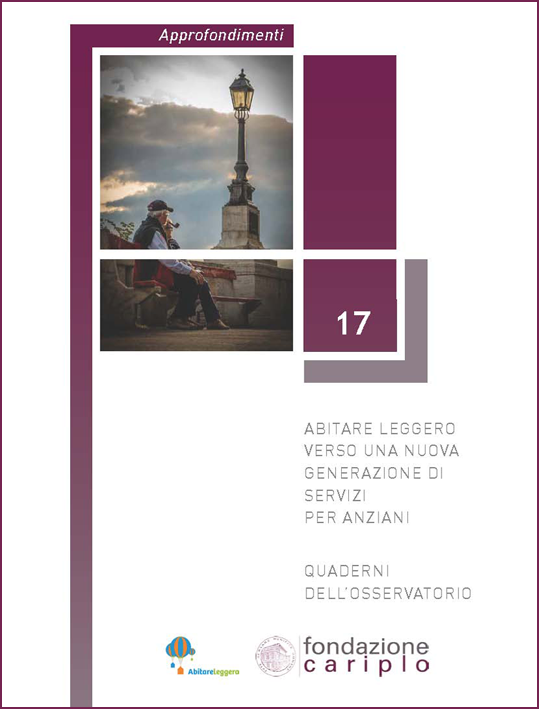 This notebook reports in brief the results of the “Abitare Leggero” research project, that explored in depth this topic and its practical application in existing structures within Lombardy. The conclusions it draws, which are shared by all the players in the project, suggest courses of action, proposals for regulatory modification, indications for managers plus three possible development models for new “light” residential solutions for the elderly. Catalogue raisonné of the international social housing design contest that was held for the two areas designated to social housing complexes in Milan; via Cenni and Figino. This book contains a selection of the most noteworthy projects grouped according to various recurring elements of the urban residential interventions: the type of building, the project for the open spaces, the project for the semi-public spaces, the project for the homes, and the outer casing of the buildings. Social Housing is an integrated program of interventions that includes the accommodation offer, services, actions and tools that are aimed at those people who are unable to satisfy their own housing needs on the market, for financial reasons or for the absence of a suitable solution. The aim is to improve and strengthen the housing conditions of these people, through the establishment of a quality residential context within which it is possible not only to have access to housing at affordable rent but also to actively participate in the experience of new or renewed ways of living. Housing models in which the residents are called upon to create a sustainable community. We chose the magazine as a periodic informational tool for the promotion of the international design contest and of all the initiatives connected with it, curated by FHS. 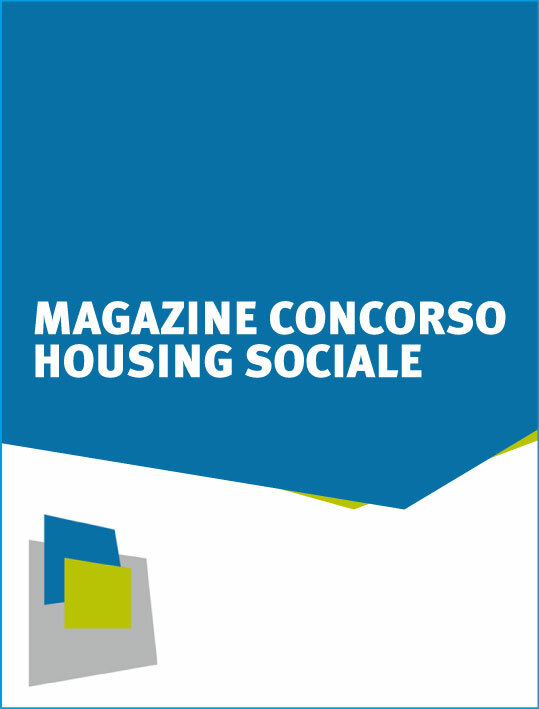 Each edition of the magazine is dedicated to a member of the contest jury and proposes, in addition to the juror’s profile, his/her specific skills with regard to social housing, together with the description of an intervention which has been chosen as a reference model for the design or management solutions that were implemented. The documens can be downloaded here.